Cel-Fi PRIME improves the 3G and 4G LTE cellular service, eliminates dead zones, and dropped calls. With 80dB of gain, Cel-Fi PRIME will not only improve cellular coverage, it will also reduce your cell phones power requirements and extend its battery life. PRIME offers plug-and-play cellular coverage for a flat, storefront, kiosk, apartment, offices or similar space, enabling clear and reliable connections within the coverage area  approximately 1,000 sq. ft. In an open space, the coverage bubble can be much larger. Cel-Fi PRIME is CE and FCC approved. It is legal to use and has been approved for use by mobile operators. Improve 3G and 4G LTE cellular service, eliminate dead zones, and dropped calls with Cel-Fi PRIME. With 80dB of gain, Cel-Fi PRIME will not only improve cellular coverage, it will also reduce your cell phones power requirements and extend its battery life. PRIME is plug-and-play (no installation needed) and offers clear and reliable voice connections within a coverage area of up to 100 m2 (approximately 1,000 sq. ft.). 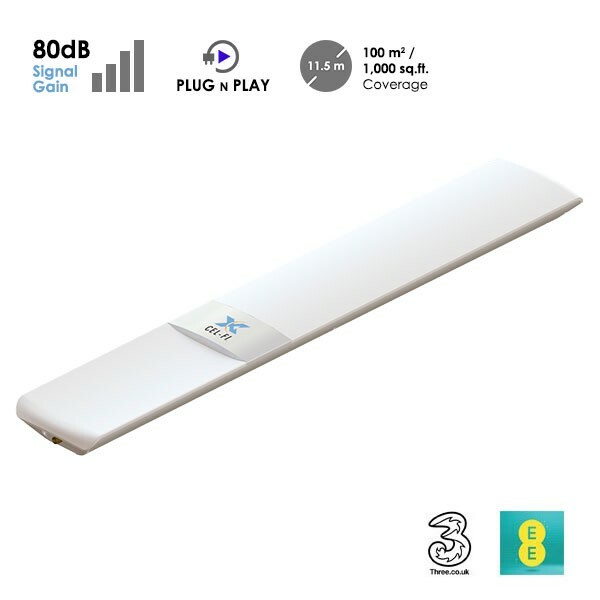 Ideal for a flat or a small home, a storefront, a kiosk, offices or similar space, enabling clear and reliable connections within the coverage area. In an open space, the coverage bubble can be much larger. Cel-Fi PRIME uses Nextivitys patent-pending electrically steerable antenna technology, addressing pilot pollution issues, and ensuring PRIME outperforms the competition. Cel-Fi PRIME is CE-certified, and available wherever Bands 1 (2100 MHz) and Band 3 (1800 MHz) are used. Compatible with: EE, Three and all hosted Networks (3G and 4G). Only works for one network at a time per unit. The network is chosen upon the initial installation and can be changed afterwards. Intelliboost Chipset: Network Safe 3rd Generation Chipset that Optimizes Performance, using industry leading Automatic Gain Control based on fast real-time echocancellation.